Have you ever wondered, what are some of the most epic forex trades that went down in history? And more importantly, what crucial insights and lessons can we learn from these legendary traders? Andy Krieger is a somewhat unknown trader who made his name at Bankers Trust. He was watching currencies in 1987 after the Black Monday crash, and he saw an opportunity for arbitrage in some overvalued currencies. He became famous because he shorted a few hundred million dollars worth of Kiwi (New Zealand’s currency), and he shorted so much that his position was said to exceed the money supply of New Zealand as a nation. Andy shorted so much currency that there was not enough currency in circulation to support the short. The kiwi fell tremendously while he was shorting it and made $300 million for Bankers Trust. Legend has it that a worried New Zealand government official called up Krieger’s bosses and made threats to him. Krieger later left the firm to work for George Soros in his quantum fund. Stanley Druckenmiller made this historic trade as a trader working for George Soros’ Quantum Fund. He went long on the German mark because of the fall of the Berlin Wall, and the undervaluation that was going on during the reunification between East and West Germany. Legend has it that Stanley initially bet a few hundred million dollars, until Soros told him to raise the bet to $2 billion. That year, the Quantum fund brought in 60% returns. Stanley is a rather unknown person, but the fact that George Soros hired him is worth noting. Another trade that Stanley made was in the 1990s. He was buying German bonds, because he expected investors to move from British bonds to German bonds. It was also during the period where Soros broke the Bank of England. George Soros became famous because he shorted the pound aggressively, in fact, so aggressively that he borrowed heavily and make $1 billion in the process. At that time, Britain wanted to keep the value of the pound above 2.7 German marks, a key feature of the fixed exchange rate mechanism. Many speculators began to take up short positions in the expectation that this fixed exchange rate would not hold. This was the famous ‘broke the British bank’ trade that shot George Soros to stardom. Britain even raised its interest rates to double digits to try to attract investors and prop up the buying in its currency, however, the British government soon realized that it would lose lots and lots of money trying to keep the value of the pound. Soros made $1 billion for his fund on this trade. The U.S stock market experienced its largest 1-day percentage decline ever on Black Monday of 1987. This was the most shocking fall the world had seen at that point, and even up to today, no 1-day decline has ever matched Black Monday. Betting on a black swan event netted Paul Tudor Jones $100 million in profits. The 22.6% drop in the Dow in 1987 has not been rivaled even up to 2017. Paul Tudor Jones shorted the stock market, tripling his money, and making US$100 million on that trade while the Dow Jones plummeted 22%. While working for Citigroup, Andrew Hall predicted a 5-year bull-run in oil from 2003-2008, and made the appropriate trades. Oil went from $30 to $100, and Hall brought with him $100 million as part of his compensation plan. Andrew Hall made it big on oil in his career at Citigroup. Aside from this brilliance, he reportedly bought 1 million barrels of physical oil in 2009, and stored it, hoping that oil would rise greatly. It did, and from 2009-2011, oil went from $50 to $100. However, his oil fund hasn’t been doing well in the past 5-6 years, and he has had to repeatedly explain the lack of profits to investors. David Tepper’s strategy was simple; buy low, sell high. In early 2009, he scooped up big banks like Citigroup and Bank of America, and saw them quadruple and triple in value from their bottoms in 2009. Nothing spectacular; buy low, sell high. These trades earned $7 billion for Tepper’s hedge fund. His personal compensation was $4 billion. Louis Bacon went long on oil, short on stocks in the 1990s because of this geopolitical situation. Later, he also correctly bet that the U.S. would quickly defeat Iraq and the oil market would recover. Bacon’s event-based bets rewarded him handsomely. 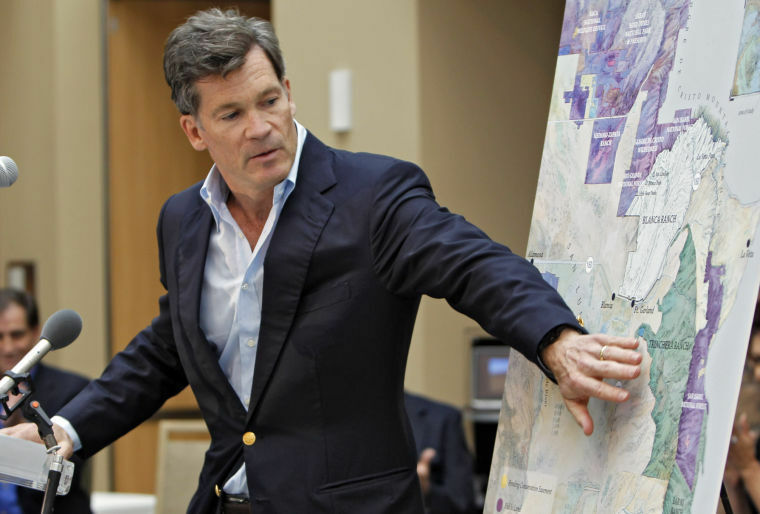 Louis Bacon explaining what he knows best; geopolitical event trading. His hedge fund returned 86% that year because of these trades. Although his strategy is somewhat unconventional, he has excelled in it and carved a niche for himself. AFTER READING THIS, WHAT’S NEXT? Many of these traders had decades of trading experience under their belts. Although they all seem like they had a great stroke of luck or a brief moment of brilliance, the preparation and practice that they went through was thorough and gruelling. I hope that these stories of real traders would motivate you to continue at your game, brush up your skills, engage the financial markets, and stay up-to-date with what’s going on. it’s mark carney in the picture and not Andrew Hall. Thanks for letting us know, we have updated the post.